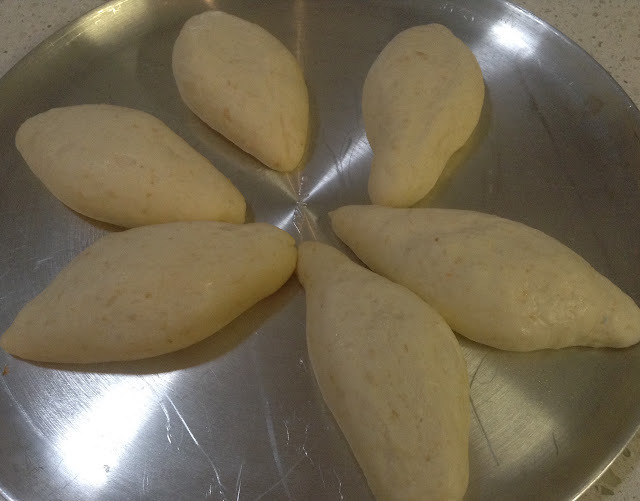 This month the Bread Bible Alpha Bakers are making pretzel bread. 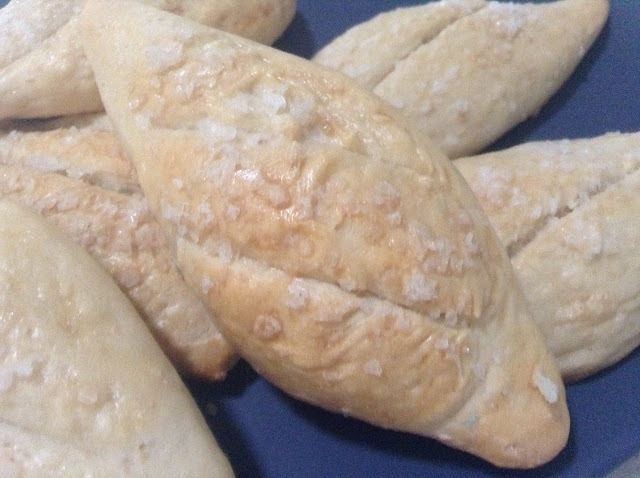 They're meant to be little pretzel-type bread rolls. I didn't really want to post the picture of my finished pretzel breads rolls because they look so unpretzel-like and not a lot like rolls. I think this is mainly because I didn't dip them in a solution of lye before I baked them. The alkaline solution apparently is what makes them dark and chewy. I wasn't keen to use lye because it's so caustic but I was intending to try using baking soda instead as suggested by Alpha Baker Marie. In the end I just brushed them with egg white, an alternative suggested in the recipe. I'm not sure what else went wrong because they didn't really rise much in the oven and when I cooked them a bit longer they just got harder. I should try them again sometime when I have more time because some of the other Alpha Bakers got really good looking results. 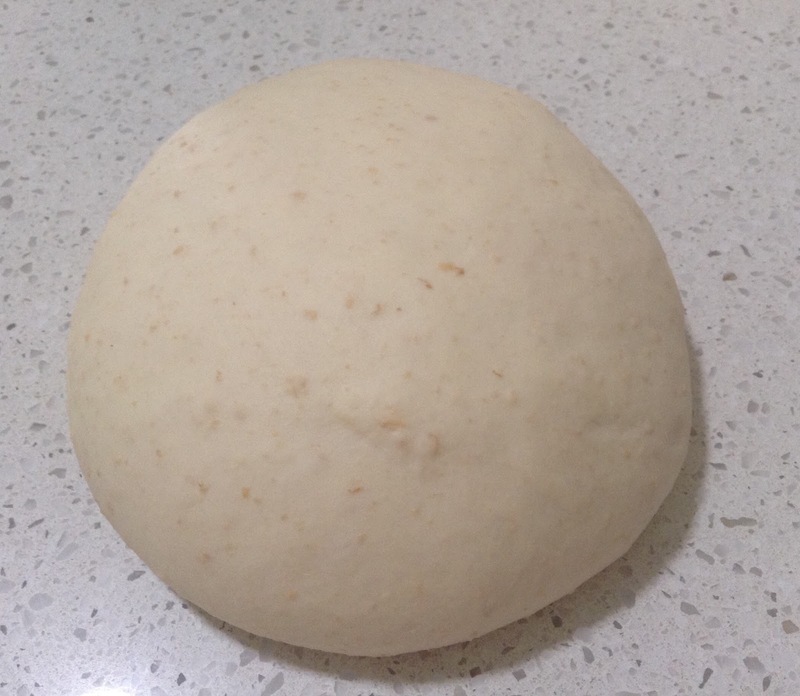 The process wasn't hard at all and not very time consuming compared to a lot of the breads we've made. 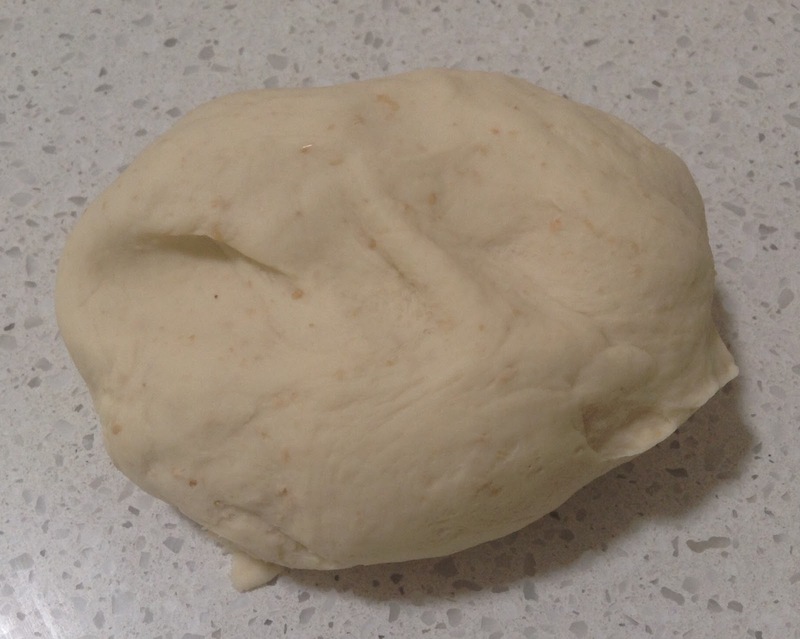 The ingredients are kneaded in the stand mixer then left to rise for a shorts period. 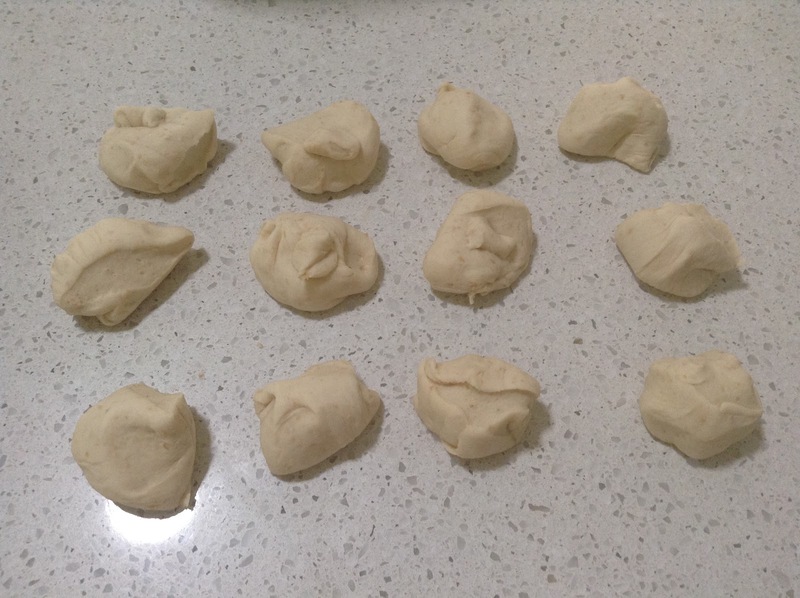 The dough is divided into twelve little balls and then shaped. Mon petit escargot! 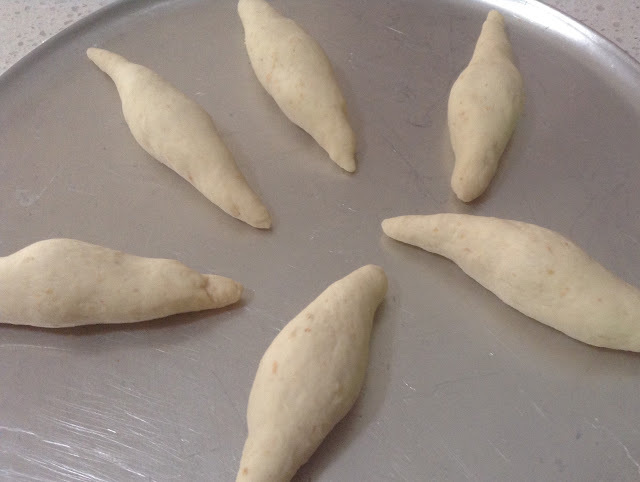 They look like little snails at this stage but it sounds better in French. The snails rest for a while after which they turn into slugs. I baked them as directed but I'm not sure what happened because they didn't look too good. They made nice little snacks anyway. Next month the Bread Bible Bakers are making New Zealand Almond and Fig Bread. Escargot!!!! You are so funny! Pretzel bread and bagels are popular here now. You've inspired me to make them. Been dragging my feet on this one.